Audemars Piguet introduced a skeletonized Royal Oak at SIHH 2010, a timepiece that has been in high demand among collectors. 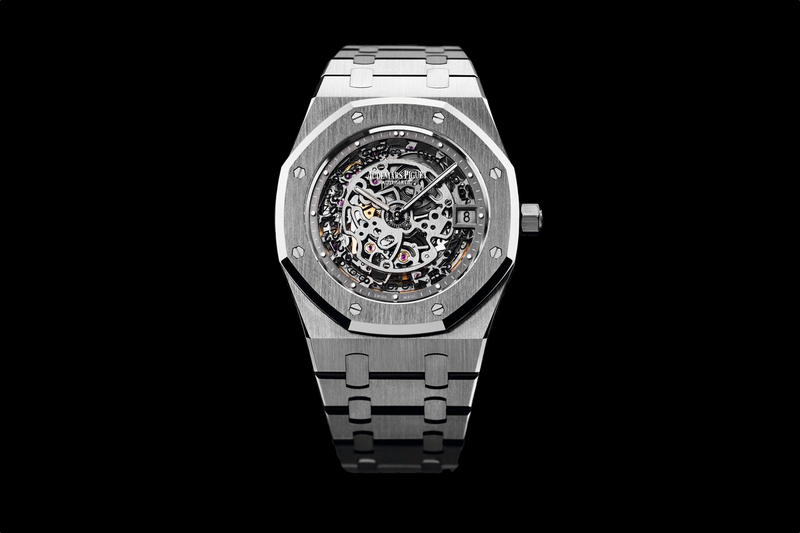 For SIHH 2012, to celebrate the 40th anniversary of the iconic Royal Oak, the world’s first high-end steel sports wristwatch, they’ve created a limited edition, ultra-thin version of the Royal Oak Skeleton. The Extra-Thin Openworked Royal Oak 40th Anniversary Limited Edition timepiece will feature a new movement, in-house caliber 5122, which is a mere 3.05 mm thick (as opposed to caliber 3129 in the previous version, which is 4.26 mm thick). The self-winding caliber has 36 jewels, 247 parts, runs at 19,800 vph (2.5Hz) and a power reserve of 40-hours. The bridges and mainplate feature polishing, satin-brushing, circular-graining, circular satin-brushing and drawn flanks (all are done by hand). A 22k gold monoblock oscillating weight is stamped with the raised inscription “AP Royal Oak 1972-2012 and with “tapisserie” motif on it external segment. The case, is surprisingly in 950 platinum, as opposed to steel like the original Royal Oak that was introduced 40 years ago. Platinum is awesome and this is no problem, but you would think it would be steel like the original. 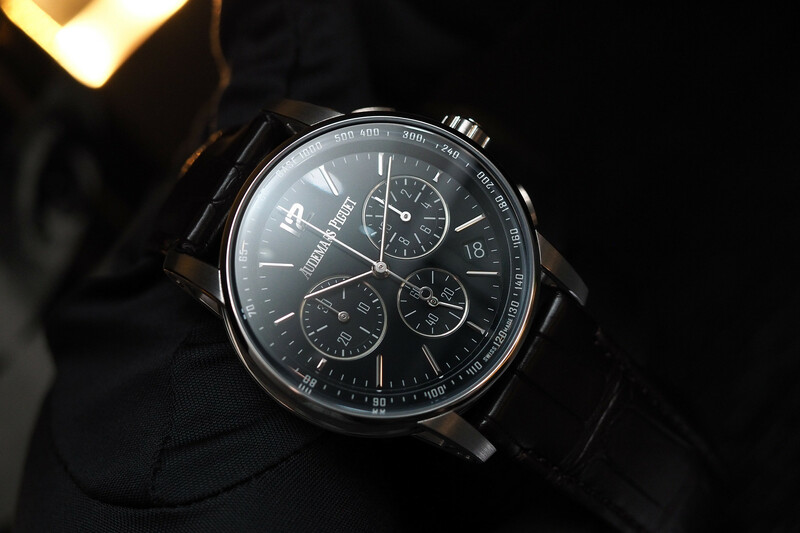 This leads me to believe there will be other anniversary models that will be introduced at SIHH 2012, in stainless steel, to further commemorate the iconic model. The diameter of the case is 39 mm, with a thickness of 8 mm (approximate thickness based on the fact that the 2010 RO skeleton is 9.38 mm). Functions include hours, minutes and date. Water-resistance is 50 meters. Anti-glare sapphire crystals front and back. 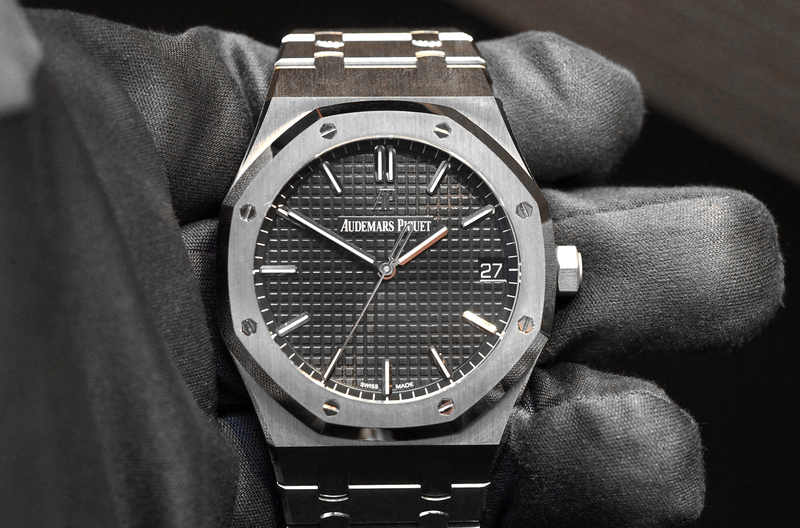 Limited to 40 pieces for the 40th anniversary of the Royal Oak model. Next articleRolexRolex Chronograph worn in James Bond "On Her Majesty's Secret Service"